OVERSIGHT REPORT FOR THE 2017/18 FINANCIAL YEAR: Notice is hereby given, in terms of Section 21 of the Municipal Systems Act No. 32 of 2000, that the Council of Emakhazeni Local Municipality has in terms of Council Resolution No. 35/03/2019 approved its Oversight Report for the 2017/18 financial year.Copies of the Oversight Report are available at Municipal Offices (Emakhazeni, Dullstroom, Entokozweni, Emgwenya) and Libraries during office working hours 07h45 to 16h30 or visit our website at www.emakhazeni.gov.za. Revised IDP -Publication in progress. DRAFT ANNUAL BUDGET 2019/2020: Notice is hereby given in terms of section 22 of the Municipal Financial Management Act MFMA), acts no 56 of 2003 which prescribes for the publication of Draft Annual Budget. 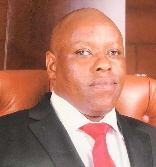 The council of Emakhazeni Local Municipality has in terms of resolution number 30/03/2019 tabled its Draft Annual Budget for the financial year 2019/2020 together with supporting documentation which also includes proposed tariffs as prescribed by section 16 to 27 of MFMA and Municipal Budgeting and Reporting Regulation. A copy of the Draft Annual Budget and supporting documentation is available for inspection at www.emakhazeni.gov.za and all Municipal libraries of Emakhazeni Local Municipality during Office hours 08:00 – 16:00, Mondays to Fridays. MID YEAR BUDGET AND PERFORMANCE ASSESSMENT REPORT FOR THE FINANCIAL YEAR 2018/19 Notice is hereby given in terms of Section 34 (1) of the Municipal Budget an Reporting Regulation (Reg 33-35), Which provides for the Mid-Year Budget and Proformance Assesment Report. A copy of the Mid-Year Report is available on the municipal website, www.emakhazeni.gov.za and at the Municipal Offices of Emakhazeni Local Municipality (Dullstroom, Emakhazeni, Emgwenya Library and Entokozweni) for inspection during office hours from 08:00 to 16:00, Mondays to Fridays. 2017/2018 AUDITED ANNUAL REPORT. Notice is hereby given in terms of Section 127 (5a) of the Local Government Municipal Finance Management Act, Act no. 56 of 2003 that the Council of Emakhazeni Local Municipality has in terms of resolution number 61/01/2019 dated 24 January 2019 approved its Audited Annual Report for 2017/2018 financial year. A copy of the Audited Annual Report is available on the municipal website, www.emakhazeni.gov.za and at the Municipal Offices of Emakhazeni Local Municipality (Dullstroom, Emakhazeni, Emgwenya Library and Entokozweni) for inspection during office hours from 08:00 to 16:00, Mondays to Fridays. SDBIP and Performance Agreements. Notice is hereby given, in terms of Section 53 (3) (a) of the MFMA read together with Section 21A of the Municipal Systems Act that, the Service Delivery Budget Implementation Plans (SDBIP’s) and the Annual Performance Agreements for the 2018/2019 financial year concluded by Emakhazeni Local Municipality and the Municipal Manager and Managers directly accountable to the Municipal Manager are available at Municipal Offices (Emakhazeni, Dullstroom, Entokozweni, Emgwenya) and Libraries during office working hours 07h45 to 16h30 or visit our website at www.emakhazeni.gov.za. PUBLIC NOTICEAMENDMENT OF CONTRACT. In compliance with section 116 (3) of the Municipal Finance Management Ac, Act 56 of 2003, Emakhazeni municipality intends amending the contract of the following project as per the Council Resolution no: 49/06/2018 due to the allocation of additional funds to the project and works having commenced. DRAFT PERFORMANCE MANAGEMENT POLICY FRAMEWORK FOR 2018/19 FINANCIAL YEAR. Notice is hereby given in terms of the Local Government Municipal Systems Act, Act no 32 of 2000, that the Council of Emakhazeni Local Municipality has in terms of resolution number 25/05/2018 dated 31 May 2018 approved its 2018/19 Performance Management Policy Framework. PUBLIC NOTICE FOR INSPECTION OF SUPPLEMENTARY THE VALUATION ROLL AND LODGING OF OBJECTIONS.Notice is hereby given in terms of Section 49(1) (a) (i) of the Local Government: Municipal Property Rates Act, 2004 (Act 6 of 2004), hereinafter referred to as the “Act”, that the valuation Supplementary Valuation Roll for the financial year ending 30 June 2018 open for inspection at all Emakhazeni Municipal offices from 01June to 30 June 2018. ADOPTION OF INTEGRATED DEVELOPMENT PLAN (IDP): Notice is hereby given in terms of section 25 (4) (a) and (b) of the Municipal Finance Act, (Act of 32 of 2000). Emakhazeni Local Municipality hereby gives notice of the adoption of the IDP 2018/19 financial year on the 31st May 2018 by the full Council of the Municipality. Notice is hereby given in terms of Section 21 of the Municipal Systems Act, Act No. 32 of 2000, that the Council of Emakhazeni Local Municipality has in terms of Resolution Number 15/03/2018 dated 29th March 2018 approved its Oversight Report for the 2016/17 financial year. PUBLIC NOTICE ON ALIENATION OF PROPERTY BY MEANS OF AN UNSOLICITED BID. PUBLIC NOTICE: 2017/2018 MID YEAR BUDGET AND PERFORMANCE ASSESSMENT REPORT. Notice is hereby given in terms of Section 79(18) of the Local Government Ordinance 17b of 1939 as amended and read with Section 21 of the Local Government: Municipal System Act 32 of 2000 as amended, Section 113 of the Local Government: Municipal Finance Management Act 56 0f 2003 and Section 38(2) of the Supply Chain Management Policy that the Emakhazeni Local Municipality intends to transfer Erf 428 Emgwenya (“the property”��) measuring 422.5m� in extent to the Diocese of Mpumalanga Anglican Church of South Africa for purposes of the development of a church.